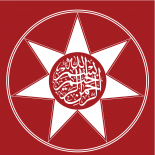 The Centre for Ishmaelite Research and Policy was founded by Sayyid Ahmed Amiruddin, and is a non-partisan, social justice, progressive think tank whose mission is to increase awareness of Ishmaelite heritage and engage in public advocacy for the preservation of Ishmaelite heritage and engage in advocacy against the cultural and social-exclusion of Arab-Ishmaelites in Western societies. CIRP focus’ on engaging in, and supporting research to foster public awareness of Ishmaelite contribution to civilization and shall engage in advocacy against the cultural genocide of pre and post-Prophetic era Abrahamic-Ishmaelite heritage, heritage sites, history and culture. CIRP will strive to create awareness that real Arabs (with Ishmaelite ancestry) are in fact also Semitic peoples, and as such, the demonization of them in Western popular culture and the intentional desecration and destruction of their heritage and heritage sites in their holy cities, is in fact Anti-Semitic. The Centre shall provide collaborative solutions between existing real Arab and non-Arab groups by bringing people together beyond politics to promote progressive research, policy alternatives, and hope. According to the Royal Embassy of Saudi Arabia, the number of foreign pilgrims to the Ishmaelite shrine of the Kaaba in Mecca and Prophet Muhammad‘s tomb in Medina exceeded 15 million between 1996 and 2009 alone, thereby making the Kaaba and Muhammad‘s tomb arguably the most visited holy sites in human history . According to Islamic tradition, the Ishmaelites are the ancestors of the Arabs, and Muhammad the Prophet’s tribe the Quraysh. The Quran states, Abraham and Ishmael together built the Kaaba in Mecca, and prayed for God to bless their descendents, the Ishmaelites. Islamic doctrines state God accepted this prayer and blessed the Ishmaelites with the Mawlid (birth) of Muhammad. The Holy Quran states in 2:127-129: “And when Abraham and Ishmael were raising the foundations of the House, (Abraham prayed): Our Lord! Accept from us (this duty). Lo! Thou, only Thou, art the Hearer, the Knower. Our Lord! And make us submissive unto Thee and of our seed a nation submissive unto Thee, and show us our ways of worship, and relent toward us. Lo! Thou, only Thou, art the Relenting, the Merciful. Our Lord! And raise up in their midst a messenger from among them who shall recite unto them Thy revelations, and shall instruct them in the Scripture and in wisdom and shall make them grow. Lo! Thou, only Thou, art the Mighty, Wise”. Important figures in pre-Islamic history who descend from the Ishmaelites include Jethro, father in-law of Moses, who although referred to as a Madianite, was also an Ishmaelite because the term “Ishamelite” was synomous with the term “Midianites” (see, Achtemeier, Paul J., Harper’s Bible Dictionary, San Francisco: Harper and Row, 1985). Another well known Ishmaelite is Zipporah, the wife of Moses and Jether the Ishmaelite (1 Chronicles 2:13-17) who was married to Abigail, the sister of King David. Prominent Ishmaelites who came later, and became some of the most influential figures in human history include Muhammad, and his immediate successors Abu Bakr, Umar, Uthman and Ali ibn Abi Talib, his sons Hasan ibn Ali and Husayn ibn Ali, whose shrine in Karbala, Iraq hosts 14 million pilgrims on the day of Arbaeen. Prominent Sufi Ishmaelites and political leaders include Zayd ibn Ali, Jafar al-Sadiq, Abdul-Qadir Gilani , Baha-ud-Din Naqshband Bukhari , Ibn Arabi, Ibrahim ibn Adham , Ahmad al-Buni, Ahmad al-Badawi, Rumi, Moinuddin Chishti , Fariduddin Ganjshakar , Lal Shahbaz Qalander , and Ali Hujwiri. It is also worth noting that HRH the Nizam of Hyderabad Osman Ali Khan, Asaf Jah VII who was portrayed on the cover of TIME magazine in 1937 as the richest man in the world and named by Forbes magazine as the wealthiest South Asian in history, and ranked the as fifth on the Forbes ‘All Time Wealthiest’ was also of Ishmaelite lineage. Amongst the most prominent pre-Islamic Ishmaelite empires of history include the Nabataeans who built Petra , the Kedarites and the Lihyan Kingdom. The Nabataean kingdom, also named Nabatea (many times spelled Nabatean), was a political state of the Nabataeans which existed during Classical antiquity and was annexed by the Roman Empire in AD 106. According to Ottoman traditions, ‘Ali ibn Abi Talib was able to read the Nabatean inscriptions found on the case of the sword of David, which is said to be housed in the Topkapi Palace. Additionally, in Twelver Shi’ism, the tenth Shi’ite Imam; Imam Muhammad al-Taqi, the father of Imam Hasan al-Askari, is described as being endowed with the knowledge of the languages of the Nabateans. Post-Prophetic Era Ishmaelite empires include the Rashidun, the Umayyad Caliphate, the Abbasid Caliphate, the Fatimid Caliphate , the Caliphate of Córdoba, and the Safavid dynasty. The primary historic evidence linking the Ishmaelites to the Arabs, and specifically to the tribe of Muhammad, the Quraysh, is the Kaaba in Mecca. Cultural genocide refers to the deliberate destruction of the cultural heritage of a people or nation for political, military, religious, ideological, ethnical, or racial reasons. Some of the most significant post-prophetic era Ishmaelite heritage sites, which were perserved throughout Islamic history, have been vandalized, desecrated and destroyed for religious and ideological reasons, in the heart of Islam, Arabia. As early as 1933, Raphael Lemkin proposed a cultural component to genocide, which he called “vandalism“. However, the drafters of the 1948 Genocide Convention dropped that concept from their consideration. The legal definition of genocide is left unspecific about the exact nature in which genocide is done only that it is destruction with intent to destroy a racial, religious, ethnic or national group as such. It should be noted that this declaration only appeared in a draft. The United Nations Declaration on the Rights of Indigenous Peoples was adopted by the United Nations General Assembly during its 62nd session at UN Headquarters in New York City on 13 September 2007, but only mentions “genocide”, not “cultural genocide”, although the article is otherwise unchanged. Beside its legal currency, the term has acquired rhetorical value as a phrase that is used to protest against the destruction of cultural heritage. It is also often misused as a catchphrase to condemn any destruction the user of the phrase disapproves of, without regard for the criterion of intent to destroy an affected group as such. The destruction by Azerbaijan of thousands of medieval Armenian gravestones at a cemetery in Julfa, and Azerbaijan’s subsequent denial that the site had ever existed, has been widely written about as being an example of cultural genocide. When Turkey’s Minister of Cultural Affairs re-opened the medieval Armenian Aghtamar church in eastern Anatolia as a museum, critics objected to the use of its Turkified name, seeing in it a denial of the region’s Armenian heritage and as a sort of “cultural genocide”. Some scholars have discussed whether “cultural genocide” properly describes Japan’s suppression of Korean language, traditions, and names, and the teaching of Korean history during the Japanese occupation of Korea from 1910 to 1945. In 1989, Robert Badinter, a high-profile French criminal lawyer, participated to a famous French television program, Apostrophes, devoted to human rights, in the presence of the 14th Dalaï Lama. Talking about the disappearance of the Tibetan culture in Tibet, Robert Badinter used the term “cultural genocide”. Later on, and for the first time in 1993, the Dalaï Lama used the same term of cultural genocide to describe the destruction of the Tibetan culture. More recently, at the time of 2008 Tibetan unrest, the Dalai Lama accused China of practising cultural genocide against the peoples of Tibet. South Koreans have accused United States Christian missionaries of “cultural genocide” for their success in converting large number of South Koreans to Christianity. The Saudi government established an institute named the Institute of Islamic Heritage and Proofs, this department had the responsibility to oversee the Islamic Heritage, Relics and Proofs. (Government Resolution: M26 dated 1396AH). Relating to this a higher board was established named Al Mujallisal Ala lil Asar (Supreme Council for Protection of Islamic Heritage). Resolution 235 (21/02/1398AH) passed by the Higher Ministry stated that the Minister of Education and President of the Hajj Ministry and Religious Affairs as well as the Information and Media Departments were all to become members of the Supreme Council for Protection of Islamic Heritage. In 1998, the grave of Amina bint Wahb, the prophet Mohammed’s mother, was bulldozed and doused in gasoline. The birthplace of the prophet Mohammed came under threat 50 years ago, when the House of Saud decided to build a library over the site. The architect then persuaded the authorities to allow him to preserve the remains beneath the library. Now the authorities want to concrete over the site and turn it into a parking lot. The house of Khadijah, the prophet’s first wife, was demolished and replaced with public toilets. The muttawa or religious police, visible in red headgear, supervised the demolition of the ancient Mosque of Imam Al Uraidh. This mosque, built 1,200 years ago, stood on the site where Ali-Oraid, grandson of Mohammed, had lived. Now it is covered by rubble. There hundreds of more examples of cultural genocide of Ishmaelite heritage sites in Arabia, motivated by religion and ideology and must be investigated. The destruction of sites associated with early Islam is a phenomenon which has occurred mainly in Saudi Arabia, the birthplace of Islam and the Islamic Prophet Muhammad. Destruction has taken place particularly in Mecca and Medina, Islam’s holiest cities. Other similar sites have been targeted for destruction across the region. Mainstream Islam attaches sanctity to historic and holy sites associated with early Islam. While Shia pilgrims make ziyarat to such locations to mark special events associated with the site or the person buried there, Sunni Muslims have also developed a bond with hundreds of holy places throughout the Islamic world. The holy sites in the Hejaz have especially remained places of pilgrimage and the tomb of the Islamic prophet Muhammad has always been a highly venerated site. However, Wahhabi doctrine disapproves of the holiness of cultivation of sacred sites built around mortals. Veneration of these religious and historic archeological sites are strongly condemned. They consider veneration of and worship at grave sites tantamount to idolatry. The motive behind the destruction is the Wahhabists’ fear that places of historical and religious interest could give rise to idolatry or polytheism, the worship of multiple and potentially equal gods. The most serious destruction of the sites started in 1806 when the Wahhabi army occupied Medina. They systematically leveled the Baqi’, or graveyard, there which contained the remains of central figures in early Islam. Mosques across the city were also targeted and an attempt was made to demolish the Prophet’s tomb. In 1818 Muhammad Ali Basha attacked Hijaz and the Ottomans captured the Medina. They subsequently carried out restoration of the sacred sites and the monuments were rebuilt between 1848 and 1860. The project amounted to nearly £700,000. After Mecca and Medina fell under Wahhabi control in 1803, fundamentalists destroyed the marking of the tomb of Muhammad and various other sites. Ottoman Sultan Mahmud II ordered Muhammad Ali to drive out the Wahhabis in 1811. The practice of destruction was strongly criticized by Sunni Muslims around the world. On April 21, 1925, aghast at tomb cults focused on saints and Imams, the monuments at the Medina Baqi’ were demolished once again by the Ikhwan, loyal to King Ibn Saud of Saudi Arabia, along with the tombs of Muhammed’s family members in Mecca. As the some of the demolished mausoleums in Medina included those of early Shia leaders, Shia Muslims mourn this destruction annually on the Day of Sorrow. The Prophet’s mosque in Medina was bombarded and assurances given by Ibn Saud that it would be restored were never fulfilled. Promises that Hijaz would be transferred to an Islamic multinational government were likewise unfulfilled. 1926 saw Muslim protests across the world decrying the Saudi actions. A 1994 fatwa proclaimed by Sheikh Abdulaziz bin Baz, then the kingdom’s highest religious authority stated that “It is not permitted to glorify buildings and historical sites…Such action would lead to polytheism.” Between 500-600 mausoleums and other early Islamic revered structures have been destroyed to prevent them becoming objects of adoration for worshippers. It is estimated that 95% of millennium-old buildings, historic mosques, mausoleums and other artifacts, have been demolished in the past two decades. On 10 September 2004, after the demolition of the famous Seven Mosques of Fatimah,‘Ali,Salman al Farisi, Abu Bakr, ‘Umar, al Qiblatayn and al Fath, Muhammad al Dubaisi writing in al Madinah highlighted that the “destruction of these mosques has deprived Medina of one pillar of its immortal history”. In response, Salafi writer Saleh al Fawzan justified the destruction of the historic mosques. Some followers of Shia branch of Islam have protested, viewing the Saudi actions as a desecration of holy sites. Some Saudi voices too, especially from the Hejaz, have begun to question the wisdom of the eradication of the country’s historic heritage. The mosque at the grave of Sayyid al-Shuhada’ Hamza bin Abdul Muttalib. The Mosque of Fatima Zahra. Mosque and tomb of Sayyid Imam al-Uraidhi ibn Ja‘far al-Sadiq, destroyed by dynamite on August 13, 2002. Four mosques at the site of the Battle of the Trench in Medina. The Mosque of Abu Rasheed. Salman al-Farsi Mosque, in Medina. Raj’at ash-Shams Mosque, in Medina. Jannat al-Baqi in Medina, completely leveled. Jannat al-Mu’alla, the ancient cemetery at Mecca. Grave of Hamida al-Barbariyya, the mother of Imam Musa al-Kazim. Grave of Amina bint Wahb, the Prophet’s mother, bulldozed and set alight in 1998. Graves of Banu Hashim in Mecca. Tombs of Hamza and other martyrs were demolished at Uhud. Tomb of Eve in Jeddah, sealed with concrete in 1975. Grave of the father of the Prophet, in Medina. The house of Mawlid where Muhammad is believed to have been born in 570. Originally turned into a cattle market, it now lies under a rundown building which was built 70 years ago as a compromise after Wahhabi clerics called for it to be torn down. The house of Khadija, Muhammad’s first wife. Muslims believe he received some of the first revelations there. It was also where his children Umm Kulthum, Ruqayyah, Zainab, Fatimah and Qasim were born. After it was rediscovered during the Haram extensions in 1989, it was covered over and public toilets were built above the site. House of Muhammed in Medina, where he lived after the migration from Mecca. Dar al Arqam, the first Islamic school where Muhammad taught. It now lies under the extension of the Haram. Qubbat’ al-Thanaya, the burial site of Muhammed’s incisor that was broken in the Battle of Uhud. Mashrubat Umm Ibrahim, built to mark the location of the house where the Prophet’s son, Ibrahim, was born to Mariah. Dome which served as a canopy over the Well of Zamzam. Bayt al-Ahzan of Sayyida Fatima, in Medina. House of Imam Ja’far al-Sadiq, in Medina. Mahhalla complex of Banu Hashim, in Medina. House of Imam Ali where Imam Hasan and Imam Husayn were born. The Prophet’s Mosque in Medina is where Mohammed, Abu Bakr and the Islamic Caliph Umar ibn Al Khattab are buried. A pamphlet published in 2007 by the Saudi Ministry of Islamic Affairs, endorsed by Abdulaziz Al Sheikh, the Grand Mufti of Saudi Arabia, stated that “the green dome shall be demolished and the three graves flattened in the Prophet’s Mosque.” This sentiment was echoed in a speech by the late Muhammad ibn al Uthaymeen, one of Saudi Arabia’s most prominent Wahhabi clerics: “We hope one day we’ll be able to destroy the green dome of the Prophet Mohammed”. Al-Askari Mosque, Samarra, a major Shia shrine in Iraq was bombed in February 2006 and again in June 2007. Hala Sultan Tekke, tomb of Umm Haram, foster-mother of Mohammed, and one of the most sacred Islamic sites in the world, was set ablaze by arsonists on August 1999, causing minor damage mainly to the shrine’s tapestry. The Al-Aqsa Mosque in Jerusalem has been destroyed a number of times by earthquakes. The first recorded destruction took place in 713 AD when the eastern section of the mosque was ruined. Other earthquakes followed in 713, 746 and 774. The last earthquake, which destroyed most of al-Aqsa, occurred in 1033. Two years later, the Fatimid caliph Ali az-Zahir built another mosque on the site which has stood till the present-day. Cultural genocide refers to the deliberate destruction of the cultural heritage of a people or nation for political, military, religious, ideological, ethnical, or racial reasons. The shrines of three of Pakistan’s most popular Sufi Saints of Ishmaelite origin, Sayyid ‘Ali ibn Uthman al-Hujwiri, ‘Abd Allah Shah Ghazi, and Farid ud-Din Ma’sud have been targeted and attacked recently by Wahabi extremists. The Centre for Ishmaelite Research and Policy joins the people of Pakistan in condemning these acts of cultural genocide and calls on the government of Pakistan to do more to protect sites of Ishmaelite heritage in Pakistan. This entry was posted on September 7, 2010 by ASFC in Uncategorized and tagged Abraham, Centre for Ishamelite Research and Policy, Ibrahim, Ishmaelites, islam, Ismael, Ismail, Mawlana, naqshbandi, Prophet Muhammad, Quraysh, Sayyid Ahmed Amiruddin, Semites, Shaykh Nazim Adil al-Haqqani, Zam Zam.